It was the largest gas holder in Europe – today it is the tallest exhibition hall on the continent: the Oberhausen Gasometer. This 117.5-metre-high masterpiece of architectural engineering was built in 1929 as a gas tank of giant proportions for the coal, steel and chemical industries. Starting in 1994, it began its second life as a unique exhibition venue and location for spectacular events. Since then over 8 million people have visited the productions in this “Cathedral of Industrial Heritage”. The present volume is a review of the unrivalled success story of this giant of industry. 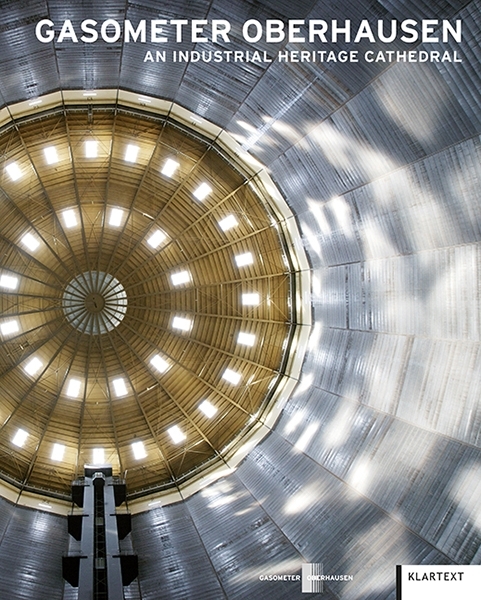 Fascinating pictures depict the Gasometer’s impressive industrial architecture and the successful connection of room with the creative powers within the various exhibitions. Precursors, architects, artists, scientists and curators who have contributed to its success story have their say. For all who have visited the exhibitions this book is a wonderful reunion. Others will be inspired to discover a unique place. Weiterführende Links zu "Gasometer Oberhausen"